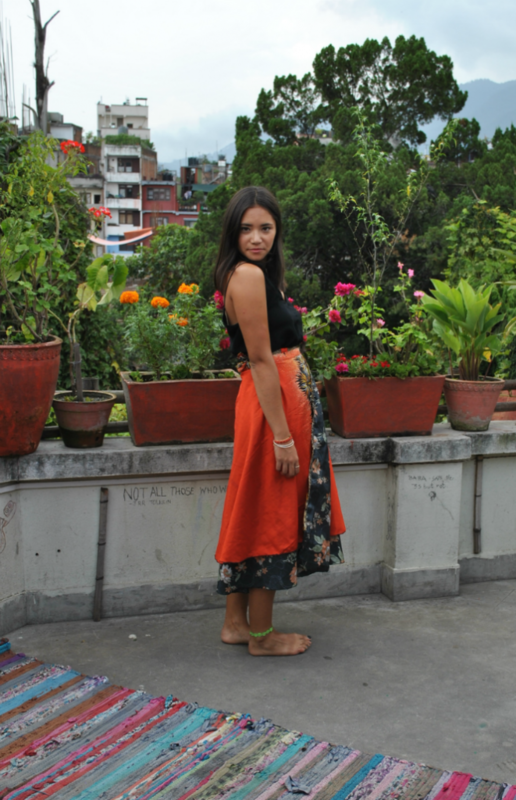 SilkSkirt Dreams, I’ve been searching in every corner of Thamel – Kathmandu, for one cute silk skirt. 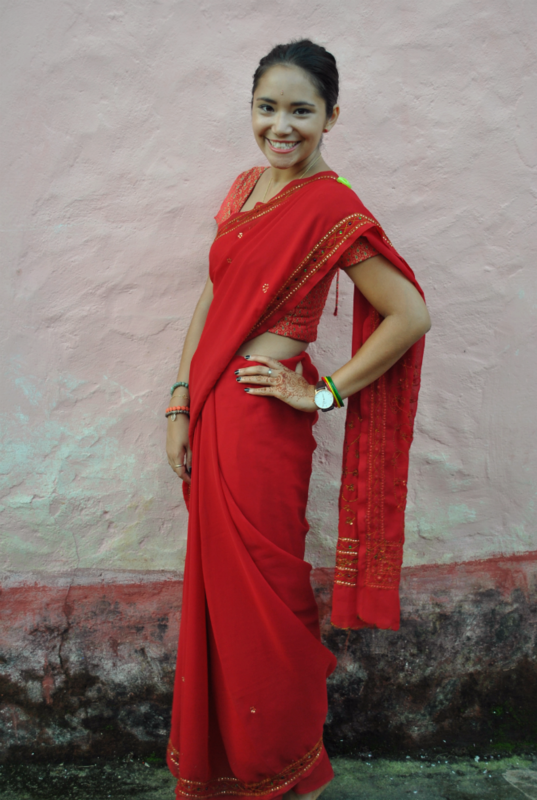 The real challenge was that there were so many different patterns, colors and shops. Then, when you finally like one of hundreds you have to bargain and debate with the sales assistant. 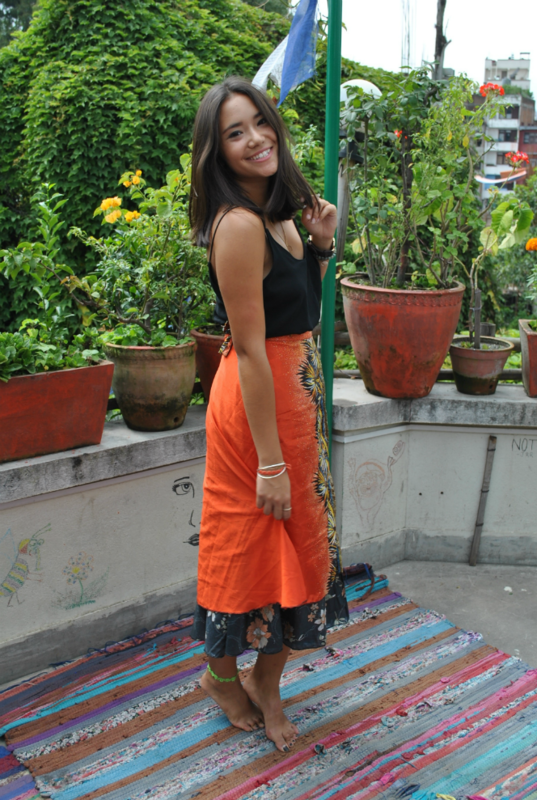 As a tourist, they will try to charge you the skirt as much as possible. After a few talks with them, trying to include some nepalese words, I didn’t even pay half the price they first told me, so always bargain! 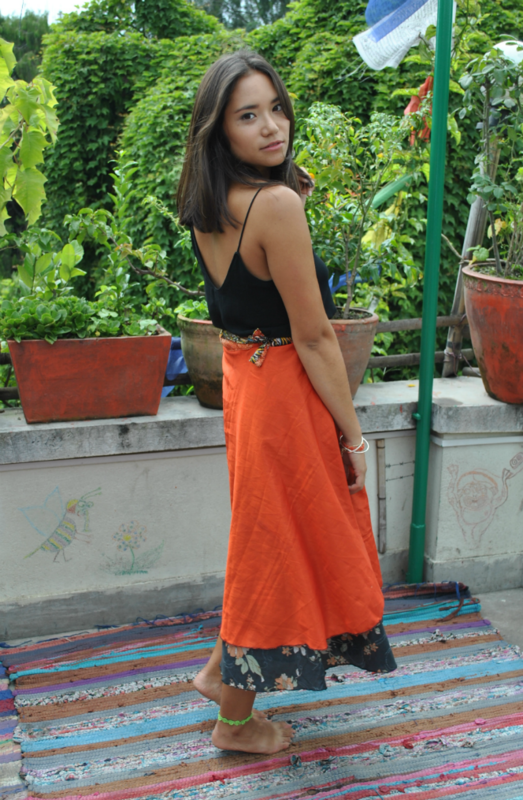 ;) The skirt is reversible, so it can be worn both ways, with the flashy orange color or with the dark and beautiful flowers. It was hard to find one, which both patterns where nice and match together! I had this idea in mind, one side pretty simple with one color and the other one should be more particular with a motif as an example. So, it looks like I bought the good one, especially, cause I can match it with some black clothes, which are my obsession at the moment. 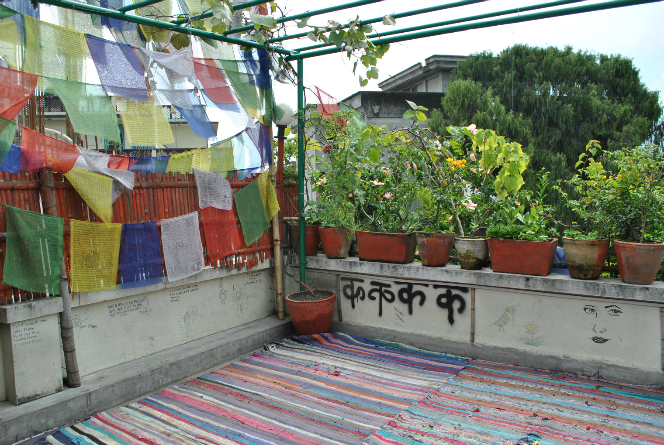 The rooftop was the one from our hostel in Thamel, the best hostel ever; Alobar1000. 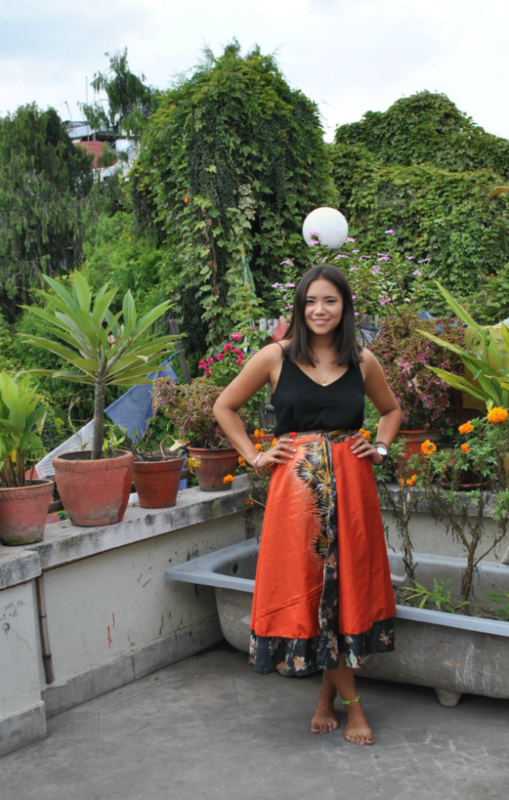 If you once will visit Kathmandu you should definitely go there, it’s the perfect place to rest after visiting the busy streets of Thamel and for meeting other backpackers.